In data warehousing we have an Is Current Flag column in SCD type 2 dimension table. This flag indicates whether the row is the current version or not. 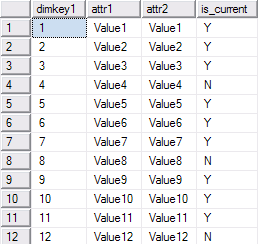 Some DW data modellers believe that in SQL Server platform this column should be created as bit rather than int or Y/N. Because it saves space. Int is 4 bytes. Y/N is char(1) which is 1 byte (2 if nchar/unicode). Bit, they say, is 1/8 byte. That’s the reasoning. 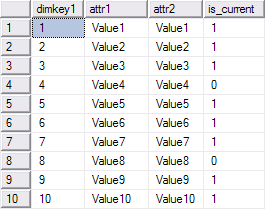 But, in SQL Server, if you have 8 or less bit column in the table, it is stored as 1 byte. 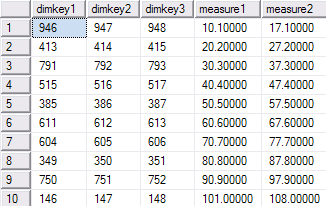 So if Is Current Flag is the only bit column in your dimension table, you don’t save space by going to bit data type. Contrary to popular believe that 1/0 (numbers) takes less space that Y/N (letters), it is not. By default people think that the data type for integer is int, they don’t think about small int or tiny int. In that case (int) the storage is 4 bytes. If the data modeller is platform aware and they know about small and tiny int, then it’s 2 or 1 byte. Char(1) is 1 byte. But varchar(1) is 3 bytes, not 1 byte. The additional 2 bytes in varchar column is to specify the length of the column. which data type is faster for “where is_current_flag = 1” query, is it char(1) Y/N or bit 1/0? We know both take 1 byte storage, but which one is gives better query performance? It’s subject to testing but I think comparing bit is faster than char(1). That’s because bit can only have 1,0 and null values where as char(1) can have many possible values. So for Is Current Flag column I’d go for bit data type. Dim1 is a dimension table with 2 attributes. It has 1000 rows. Fact1 is a fact table with 2 measures. It has 1 million rows. So, quite surprisingly, char(1) is faster than bit. 40% faster. Hmm, in that case I’ll set the Is_Current column as char(1) Y/N. And Y/N more descriptive than 1/0. If true or false is what I want to store, I would always go for bit. If I want to store something like true, false, maybe then also I wont go for char(1). 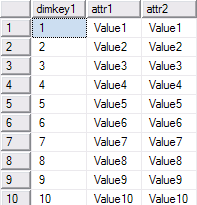 I would take tinyint instead and have the column as a primary key in another table with a little description of the values. That’s how I look at it.